If you are in the market for a vehicle that is great on gas without sacrificing style or performance, then come in and check out our 2018 Toyota Prius c inventory. The Prius c comes in a variety of models for drivers with specific preferences, making it the perfect companion for the New England roads. 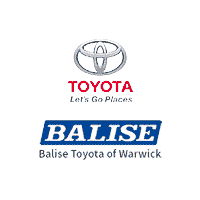 Stop by Balise Toyota of Warwick for a test drive when you’re ready. The Toyota Prius c has redefined the way you look at a hybrid with its striking appearance. Surprise your friends when you pull up to the front door with features such as a stylish front and rear LED headlights, power mirrors, and a chassis that ensures your Prius c is always up for some fun. Long road trips will no longer be tiresome with available heated faux-leather seats and a power moonroof. Lift the hood, and you’ll spot the 73 horsepower, 1.5-liter 4-cylinder gasoline engine with a 60-horsepower electric motor. A compact nickel-metal hydride energizes the Prius c beneath the rear seat. Stop by Balise Toyota of Warwick today, and test drive the 2018 Toyota Prius c. We have a vast selection of trim levels, colors, and accessories for our Pawtucket, North Kingstown, Coventry and Cranston drivers to view. No matter your budget, our finance experts will work hard to get you driving home behind the wheel of the Prius c you’ve been searching for.